Great for cupcakes, desserts, fruit, popcorn and party treats. Free standing cases meaning you do not need a muffin tray! Simply place on a baking tray. 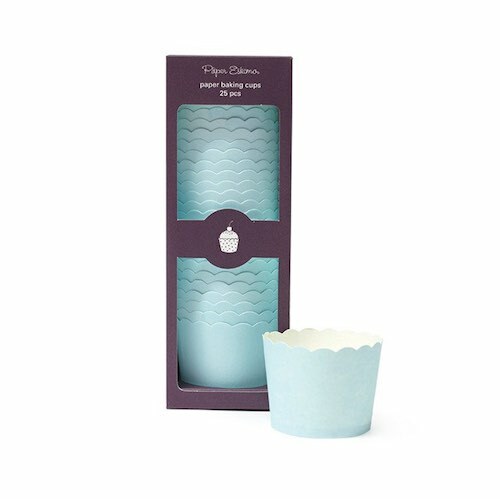 Solid Powder Blue Baking Cups are the perfect cupcake cases or serving cups for your party. These pastel blue cupcake cases by Paper Eskimo are wax lined so they will still look great when you get them out of the oven. They are perfect for baking cupcakes in when you need to feed a crowd as these do not need to go into muffin tins, you can simply place them on a clean oven tray. You can also use them to serve mini desserts, small portions of fruit, sweets, popcorn or any other little party treat.